People may not believe this, but in addition to writing 3-4 times a week (lately it’s been less than that), I also read every comment I get. As of this writing, that’s 19,123 comments. Okay, to be fair, I wrote 2842 comments so only 16,281 of those are from you. A little more than a week ago, I got the best comment in all 5 years. Hmmm—I have an idea. I have no education in running shoe engineering, but I do know that running is considered an excellent form of exercise. I know decades of research prove that regular exercise increases health and reduces the chances of heart disease and other serious conditions. Footwear has also been around for thousands of years. I’ll go to my garden, grab some corn husks, a few Anaheim peppers, sprinkle it all with some tumeric, cinnamon, dried oregano, and cloves, and construct an all-natural running shoe. I’ll give my new running shoe a fancy name like “The Health Husker with Anaheim Insert.” Because running is exercise and exercise is linked to improving health, I’ll claim my running shoe helps reduce heart disease and other serious conditions. I’ll also claim that because my Health Husker is all natural, you can eat it after a good workout and reduce oxidative stress based on the high ORAC values of ingredients used. Next, I’ll find a few reputable shoe experts willing to sell their souls to the all-mighty dollar. We’ll make arrangements for me to not only hide behind their credentials, but we’ll decide that any research performed will be vague and one-sided to support my product. We’ll construct a very small version of the Health Husker, gently attach the little shoes to a few lab rats, and allow them to run for a while in their adorable, little wheel. We’ll then allow the rats to eat their shoes and we’ll perform some blood tests using unreliable methods. We’ll do a similar, extremely limited human study, log our results, and call it good. My Health Husker running shoes probably have very little to do with increasing health and reducing oxidative stress and disease, but our plans of wealth may be compromised if we dig too deep and actually perform reputable research. Also, true reputable research takes significant time, and time is money; we want our money now! Let’s not forget that I will lie and give these reputable shoe experts credit for my breakthrough-technology Health Husker with Anaheim Insert (After all, I never had any experience with running shoe engineering beforehand and that fact will likely damage the reliability and reputation of the product and company). We’ll get our research published and accessible through PubMed to really make my Health Husker look legit. Further, because we understand the limitations of our research, we will cloud the facts and say that we hold thousands of years of footwear research under our belt, as well as decades of research related to oxidative stress, heart disease, and every other positive benefit attributed to healthy lifestyles and not necessarily linked to the Health Husker. Again, the all-mighty dollar is at stake, so the truth really isn’t that important. What people don’t know won’t hurt them, right? The success and happiness of mankind is the driving force behind our company. We deeply care about your financial success and freedom. In fact, we are firmly cemented in our commitment to feed the widow, clothe the naked, care for the orphan, and help honest-to-goodness individuals, like you, secure wealthy beyond measure. Is there a reason to live by any other principle? As an exclusive Health Husker distributor, you will experience the power of residual income as you expand your business around a scientifically proven breakthrough product and manage your own group of exclusive distributors. Dreams will materialize into realities as you bask in the fountains of wealth. No longer will you be reaching for the moon; the moon will be reaching for you. This is a no-fail plan that will attract thousands of ill-educated pathetics already distributing Protandim. True, I may have to pay out to a few losers, but I’ll pay out far less in compensation when compared to the millions I harvest. The highest percentage of my puppets will sink thousands into my product and will see a minimal return on their investment. Funny, huh? What’s even more hilarious is many distributors will resort to false and illegal health claims in hopes of selling more product. They will find themselves in such a financial dump after throwing away thousands into my product that they’ll feel no remorse in resorting to false claims that my Health Husker with Anaheim Insert cures MS, diabetes, heart disease, cancer, thyroid disease, Irritable Bowl Syndrome, menstrual cramps, STD’s, hemorrhoids, bipolar syndrome, and anything else they can think of. Some folks with serious health conditions will even believe such asinine claims, buy my product, and fool themselves into feeling better and believing that their increased health is a direct result of my Health Husker. Hopefully they’ll all become Health Husker distributors, too. I know the real truth, but why should I say anything contrary to such ridiculously illegal health claims? After all, I’ve covered myself by addressing the use of illegal health statements in my distributor’s contract. I need to make my millions, and a few lies and putting innocent individuals’ health at risk is a small price to pay when millions are at stake. What people don’t know won’t hurt them, right? After reading this, some Protandim distributors might shout, “Are you kidding me? I’d never buy into something so ridiculous and so exaggerated. I know a scam when I see it.” On the other hand, I’m sure most are saying, “Six-figure incomes, sports cars, and Caribbean vacations? Where do I sign up?” Again, you’re all alike. You currently peddle something just as ridiculous and exaggerated as the amazing Health Husker with Anaheim Insert. Even if someone can successfully market dog crap with whipped cream and a cherry on top, in the end it’s still dog crap–regardless of how many people were fooled by the whipped cream and cherry. The beauty of this is that can be applied to the MonaVie or One24 health scams. The parts change slightly. One24 doesn’t have their product in Pubmed and they don’t have an alleged expert to give credibility to the product. Still, the idea is the same, get people to buy a greatly overpriced product each month because it is a requirement to get in the business that will make your dreams come true. This weekend, my wife and I realized that if one of us got up early and went jogging with our dog for 20 minutes we’d be hitting a new high in productivity. For one our dog (a husky/yellow lab mix) gets much needed exercise. That exercise will hopefully prevent him from getting restless during the day while we are at work (something that happens from time to time). The other half of the productivity comes from the exercise that we get. The person who doesn’t walk the dog in the morning gets and early trip to work in an effort to get home early for another dog jog. Today I’m the one getting to work early. Traffic was a breeze at 7AM (yes it’s not the norm. I’ve found that Silicon Valley generally has later sleepers). The traffic was so good that I got into work only to find locked doors at 7:30. No one was around to let me in. That wouldn’t be a problem if I wasn’t the only person at work without a key. I had never made it a priority to get one since it was only twice previously in months and months that I was here before or after hours. Let’s hope this is just a blip in the overall plan. Something tells me that’s going to be the easy part and jogging the mile and a half in the morning is going to be a little more difficult. Brip Blap posts the 5 o’clock test. Digerati Life ponders tipping etiquette: why should I tip? Frugal Dad asks [should I] postpone college in order to pay for it with cash? Million Dollar Journey writes breaking up is hard to do: transitioning well from one job to another. Money Smart Life asks standard deduction or itemized deduction? My Dollar Plan shares how to make a Roth IRA conversion. The Sun’s Financial Diary presents five pitfalls to avoid when buying or selling a house. Free Money Finance shares nine Roth IRA conversion mistakes. The Smarter Wallet blogs on how to buy a digital camera. 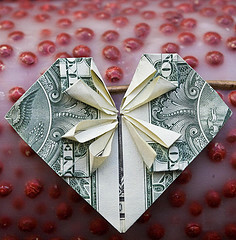 No Credit Needed writes 10 ways to save 10 bucks each month. One Frugal Girl asks do you try to save money or try to earn more? Five Cent Nickel posts Roth IRA as an emergency fund? Credit Addict says federal credit card regulations will backfire on consumers. Hundred Goal$ asks is a gym membership worth the money? Mapgirl is rebalancing her portfolio. A Dawn Journal shares how to get the best mortgage deals. Bargaineering says working Americans have almost no retirement savings. Wealth…Uncomplicated asks how good is your advisor? Fine Tuned Finances explores what to do if you can’t pay the taxes you owe. Should You Put a Price on Your Health? Should You Put a Price on Health? A few readers responded to my recent post Is Eating Organic Food Worth the Money? by saying that you can’t put a price on your health. I’ve seen a similar argument come up time and time again in my MonaVie article (For those who don’t know, MonaVie is a juice that people have suggested may give great health benefits – at a price of $32-$40 a bottle – which they get a cut of). It sounds like a pretty straight-forward argument. Shouldn’t our most primary goal be self preservation – to keep breathing, keep healthy? I’m not so sure… and I have spent 18 months writing Lazy Man and Health. I think that as usual, the devil is in the details. That is a loaded question. You ask 20 people you’ll probably get 20 different answers. In general many of us know the “eat right and exercise” routine. It’s a good start, and I think if more Americans followed that along with “stop smoking”, we’d see our collective health get a whole lot better. It is my opinion (and perhaps your doctor’s) that unless you are doing things, it doesn’t really make sense to look into other things. You can still eat right without necessarily eating organic. You can still exercise even if you don’t belong to a gym. Oh and don’t forget to take care of your teeth, reducing plaque in your mouth can help your heart. If you have an extreme amount of money, you can buy yourself a good measure of health. My wife has admitted to looking at Gwen Stefani in the past and thought, “Wow is she in shape!” I’ve looked at Brad Pitt’s six pack and thought the same thing. However, I’m quick to point out that it’s part of their job to look that way. They can pay for a personal trainer, nutritionalist, personal chef, and Jamba Lights with Whey Protein Boosts at Jamba Juice. I think the average person has to really think if they can afford these things. It is my opinion that many can not (with the exception of the Jamba Juice, but that has it’s own Latte Factor). In addition to the above there are a whole host of things that you could do with a big enough budget. One could buy an water ionizer. Some professional sports players have hyperbaric medicine chambers in their home. Perhaps that could help one’s health. There are probably about another 100 things mentioned in Ray Kurzweil’s Fantastic Voyage: Live Long Enough to Live Forever. A successful inventor like Ray Kurzweil can afford the pile treatments and tests he mentions. Is there a limit to how healthy I can be? Perhaps they are even subject to the law of dimishining returns. For instance, as I’ve been working to do 100 pushups, I’ve found that I made great gains in the beginning, but gains have gotten harder to come by. I’d be exstatic if I could run a 6-minute mile. However, I would have no desire to put in the incredible amount of exra work to run a 5-minute mile (if it’s even possible for my body physically). It may surprise you, but medical bills are the leading cause of bankruptcy from this Harvard Study. I see two paths you can go with this. You can spend your money trying to prevent everything that might physically happen to you. Or you can take reasonable preventative measures and continue to grow your money for the day that you might need it. If you go with the 100% prevention plan, you better hope you’ve got all your bases 100% covered. If something heriditary slips in that you couldn’t prevent, you probably won’t have the funds to get by it. If you take the more balance approached, you might prevent all but a few maladies, but still have the money for treatment later down the line. I can’t say what’s right for you, but I will choose the balanced approach, that leaves money for treatment down the line. Like any purchase decision, I think you have to run a little cost-benefit analysis. If I’m already eating lots of good fruit, am I going to get value by spending $5,600 a year for a family of four to drink MonaVie? However, if a doctor says that a enteric-coated baby aspirin can prevent me from getting a heart-attack or a stroke, that’s something I’m going to pick up immediately. I’ve put a price on my health and it’s very high. Part of that price is investing and amassing enough wealth for treatment tomorrow as it is for today. Unicycle – The savings of $10 isn’t that breath-taking, but I have to wonder how many unicycles Amazon sells. Aren’t you dying to know this? I’m can juggle a bit, but I’m not to adding a unicycle any time soon. Best Value of the Week? Bluetooth Portable GPS Navigator – I made that a question because I haven’t looked a GPS Navigators in some time. I know the prices are dropping fast, so the $600 list price might been from a year or two ago. To top it off this product is refurbished. Nonetheless, a GPS Navigator has become an indispensible part of my life, so for $180 I find a good overall value for me. Swim Googles – I have been swimming a lot more lately. I could use a pair of Goggles goggles to go with that. (That’s what I get for trying to publish quickly). Electric Wine Opener – I’m a pretty Lazy person, but even I believe in having to work for your wine a little bit. Thermal Beer Glasses – Though I often take the prim the proper road on this blog, I love that science is being used to make beer colder. This is a project that should receive more funding.